PATRIOTIC Front (PF) secretary general Davis Mwila has warned all PF councillors to immediately stop issuing statements in the media on salaries because the treasury has no capacity to pay their salaries. And Mr Mwila has charged that Government would not allow a situation where councillors would be earning salaries in the councils while failing to pay retirees’ terminal benefits. In an interview with the Sunday Nation, Mr Mwila observed that most of the councillors who were in the forefront demanding to be paid monthly salaries were PF members. He warned them to immediately stop issuing statements in the media because their concerns would be addressed internally rather than embarrassing the party. “We shall soon be issuing a comprehensive statement over councillors’ salaries. 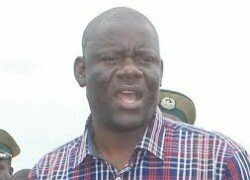 This issue can be discussed internally as opposed to rushing to the media,” Mr Mwila said. Mr Mwila said councillors were alive to the fact that some councils were failing to raise resources to pay casual workers. Mr Mwila cited Chipili and Gwembe councils as one of those which were literary failing to raise their own resources even through tax collection, yet some councillors were demanding that they should be paid monthly salaries. He challenged the councillors to ask themselves if their councils had the capacity to pay them salaries. Mr Mwila said the Minister of Local Government Vincent Mwale was currently looking into the matter and had previously made himself clear when he issued a ministerial statement in Parliament. He said currently the demands by councillors could not be sustained by the treasury but perhaps it would be possible at a later time. Mr Mwila said councils which had the capacity to pay councillors should go ahead and not expect anything from the treasury. The secretary general said he would tomorrow Monday address a press briefing at the secretariat. And Northern Province PF chairperson Felix Mfula has warned that he would not take it kindly to councillors antagonising the party in the province over salary demands. Mr Mfula said the levels of insolence among councillors in the province was appalling as most of them thought they were above the party structures and could not be disciplined.